Industries Served - Paragus | Strategic I.T. With our high level of professional standards and our unmatched commitment to customer service, Paragus is perfectly positioned to provide outsourced IT services to businesses in nearly any industry. However, our focus is on supporting the unique needs small & medium businesses. We are a small business. We understand what you’re up against and we want to help your organization continue to thrive and grow. Contact us to talk about what we can bring to the table for your business. Or take a look at the expertise we already offer in one of our established areas of expertise. Nothing is more important than being able to serve your patients efficiently, effectively, and securely. We will make sure your practice has a network that is safe, reliable, and fast. Spend less time worrying about technology and more time with patients. You have to be able to move fast, be cost- and resource-effective, eliminate down time, and provide outstanding customer service. You need the technology you use to support your objectives. And you need I.T. services that ensure technology is working for you while also being secure enough to protect your client’s sensitive data. Manufacturing these days has more to do with technology than just about anything else. We know that from receiving orders, to designing solutions, to tracking your efficiency, to connecting your mobile sales staff, that you technology just has to work. If you value having a secure, reliable, and high performing network, then you will find a great partner in Paragus. Paragus has extensive experience in supporting and servicing the I.T. needs of insurance agencies. We specialize in the implementation of key software products that allow your business to handle the fast- paced and ever-changing insurance business. Veterinary offices rely more than ever on technology. Paragus has assisted dozens of veterinary hospitals and clinics in implementing the latest technology and equipment. Our experience and expertise in veterinary office technology allow you to devote more time and energy to delivering exceptional patient care. Paragus knows what working in the modern, American economy is like. We also want you to know that we understand how important it is for you to maximize efficiency, make more from less, and keep costs low. Our experience and expertise can help you succeed. No other outsourced I.T. firm understands or appreciates non-profits or educational institutions better than Paragus. 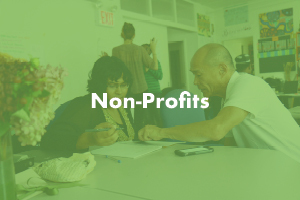 Having founded 2 non-profits and serving on the boards of dozens more, our staff have a passion for the important work that these organizations do in our community. Paragus is also committed to supporting our region through significant annual gifts of cash, equipment, experience, and time. The Paragus strategic I.T. model is perfectly designed to handle accounting and finance firms. We understand thatwhen it comes to security, reliability and performance, you don’t want to have to choose 1 or 2. Our no compromise approach is designed to give you all three in a cost effective and manageable way. The Paragus strategic I.T. model is perfectly designed to serve towns, school districts, police departments, libraries and virtually any other small government organization. We understand better than most the limited funds that governments have and the need to get the greatest bang for their buck. 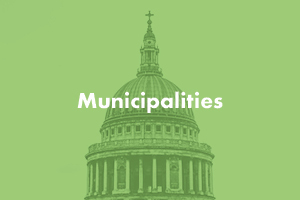 Through our partnership with Hampshire Council of Governments, we currently handle the I.T. services for more local town and city governments and departments than any other regional IT provider. We can increase communication and efficiency and bring new solutions to the table. In the brave new world of the cannabis economy, Paragus can help you create a game plan for all of your IT security needs. Running a business in this industry requires rigorous cybersecurity and physical security measures as well as strict adherence to state regulations on IT compliance and other technicalities. Let our expertise guide you through the process. We likely still have a solution for you.